Microsoft has reinvented the world of technology while making, the all new Microsoft Lumia 950 and Lumia 950 XL. 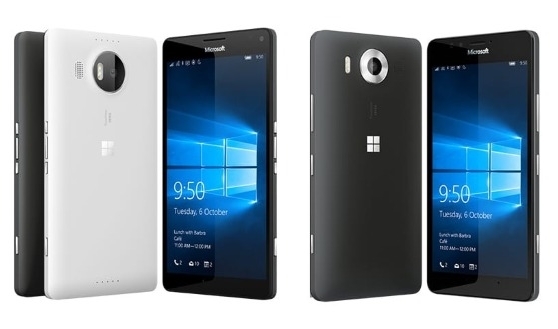 Microsoft Lumia 950 and Lumia 950 XL listed on Microsoft official website going to launch on 6th Oct. 2015 in Matte White or Black colour variant. Both smartphone expected be priced under Rs 50,000. How ever the pricing is not confirmed yet. The all new Microsoft Lumia 950 comes with Single SIM and Dual-SIM Variant supports 4G LTE 3G, Wi-Fi, GPS and Bluetooth offers you a 5.2-inch qHD(1440×2560 pixel) OLED display with Corning Gorilla Glass 4, Sunlight readability enhancements offers you crystal clear view from every angle perfect for watching movies, video and playing games. At last few honest word, Microsoft Lumia 950, Microsoft Lumia 950 XL coming to rock and rule the world market. What you think? Please be open to give your view.